This poem is copyright of Louis Macneice's literary estate....therefore I am taking a bit of a risk reproducing it here. But I can't believe I'm taking the bread from anybody's mouth, especially as it is freely available elsewhere on the internet. Of course, I'll take it down if anyone from the Macneice estate asks me to do so. Before I came to believe in God, my view of the world was very similar to Macneice's warm but fatalistic humanism. Although I believed humanity was an accidental by-product of meaningless cosmic forces, I still believed the human race was noble and admirable. Life was absurd, but in facing up to that absurdity and asserting our humanity in spite of it, we could find meaning. Macneice's image of the bird in flight, as a symbol of the "eternal" (so to speak) in the momentary, was the closest I could come to a belief in eternity. 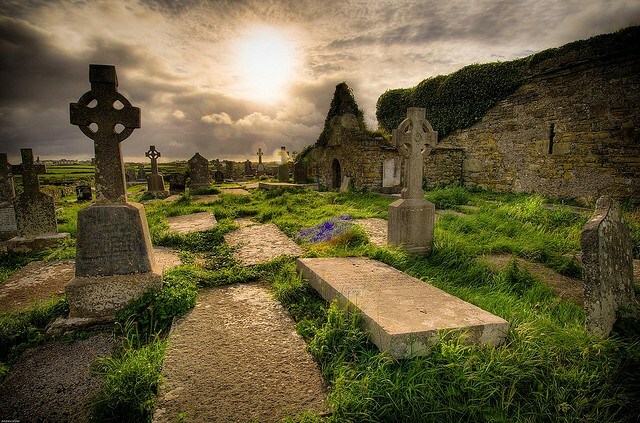 Now that I'm a religious believer, I still identity with Macneice's worldview in many ways. I've never ceased to consider myself a humanist. I've never accepted that we should cede that word to the atheists. Parmenides (as you may well know already) was a pre-Socratic philosopher who believed that time and change were illusory, and that only the Absolute really existed. In this he was the opposite of Heraclitus, who believed that only the flux existed. Heraclitus's philosophy is quite at home in our modern world, where the denial of any essence (be it nation, gender or personhood itself) is common. One of the reasons the symbol of a snow globe is so important to me is because it symbolizes permanence and essence. Parmenides would seem to be much less relevant to our time. And yet I find myself coming back to this poem (which might as well have been called "Against Parmenides") again and again, and cherishing its defence of change, seasonality, and the particular. It's easy to identify the Heracliteans of our age. It's a lot harder to identify the Parmenidesians..There's Eastern religion, of course-- presumably everybody now knows the joke about the Buddhist monk who asks the hot dog vendor to "Make me one with everything". Buddhists and Hindus, as far as I understand them, both want to escape from the illusion of personal identity and merge with the Absolute. That sounds like death to me. But I don't think the Parmenidesians in our midst are quite so philosophical or high-flown. I think the reference to the "dead-white universal" is significant here. A drab universalism is typical of our age. Nothing is special or to be loved in itself....everything is equal...everything is ultimately the same. Even something like the Good Friday licensing laws in Ireland must be torn down, because one day of the year cannot have a special character...men and women cannot have distinct privileges or responsibilities...and so on. Ultimately, don't Heraclitus and Parmenides leave us in the same limbo? There is only the flux, or there is only the Absolute. Change is everything, or change is illusory. But, in both cases, anything separate or discrete or special loses its reality. I've put my favourite passages in bold. I can't read the closing lines of this poem without breaking into tears. "A species grown rich by seeing things as wrong and patching them, to which I am proud that I belong". Indeed! And the soul is muscle-bound, the world a wooden ball. If man is a mere mirror of God, the gods collapse. And all the possible sums alike resolve to nought. Foaming, never finished, never the same twice. Time’s revolving hand that never can be still. But as event the night sweeps it away in mist). And patching them, to which I am proud that I belong. Not completely conscious but partly—and that is much. I'm glad you like it! I always feel I'm going out on a limb with my poetry-related posts. Never seen so much philosophical content in poetry before! From your comments I get inclined to ask a Hindu friend what she would respond to your (and to be sure many others me included) sense of fuzziness towards their kind of universals: "Buddhists and Hindus, as far as I understand them, both want to escape from the illusion of personal identity and merge with the Absolute. That sounds like death to me." That would be interesting, to hear what your Hindu friend would have to say! 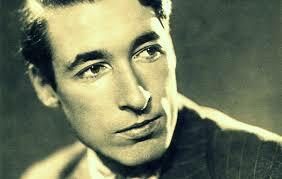 Macneice was certainly one of the most intellectual and cultured of poets, and put his learning into his poetry.